As the New Year approaches it’s time to begin thinking about New Year’s resolutions. I’m pretty goal oriented and actually love this time of year–it’s always fun to look forward to new possibilities and make new plans for growth and achievement. I also believe that thinking about and committing our goals to some formal form (whether hard copy or online) serves to formally mark them in our minds and increases the odds that we will actually move forward to achieve them. 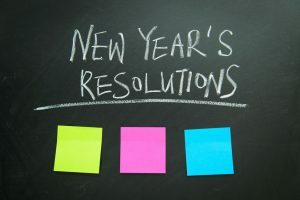 Following are our top three marketing communications resolutions for 2019. Develop a plan for 2019 and commit it to writing. It doesn’t have to be a “fancy” or elaborate plan, but it’s important for businesses of any size to take the time to clarify their mission, vision and values, identify goals and measurable objectives, evaluate the internal/external environment, development strategies and tactics designed to leverage strengths and opportunities and overcome threats and weaknesses, and establish metrics to monitor success. I’m a strong proponent of strategy (hence the name of my company!) and the author of The Complete Idiot’s Guide to Strategic Planning.